How Far is Teachers Colony Extn II? Teachers Colony Extn II, a residential Villa, and Plot project located in Chennai is developed by Tamilnadu Teachers Housing Welfare Society. A place which provides all the facilities and relaxed feeling of being close to all the social infrastructures. 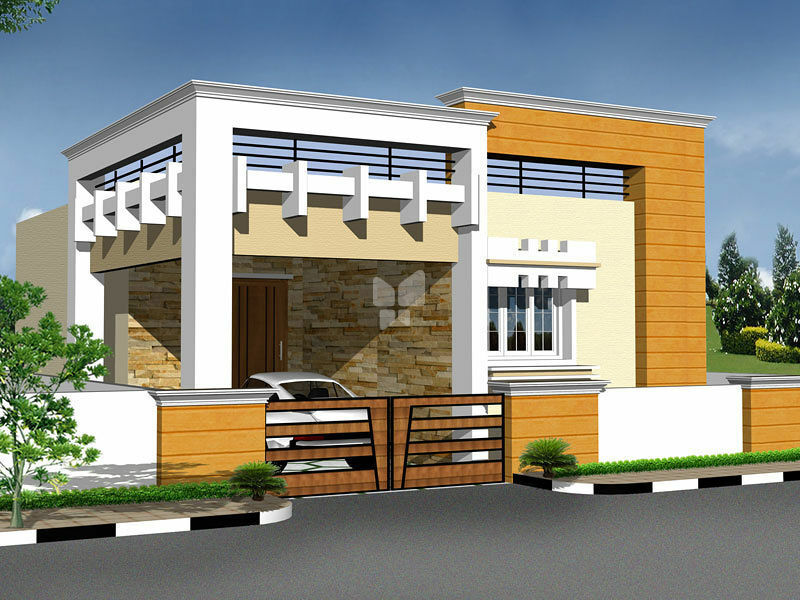 The project offers villas and plots for sale in Chengalpattu Town, here you will come across 1BHK,2BHK and 3BHK villas and plots of various size. The size of 1BHK villas is 528 Sq ft, 539 Sq ft and the size of 2BHK villas is 1107 Sq ft, 1108 Sq ft and the size of 3BHK villas is 1365 Sq ft.
A mesmerizing place in Chennai which is surrounded by advantages and facilities, here you will get the most scenic view including unparallel privacy. Come and grab this one-time opportunity of buying the best plots and villas in Chengalpattu Town stuffed with modern day facilities. A place which full fills your dream of buying your own home and plot in Chennai city at an affordable price. Along with plots and villas in Chennai Teachers Colony Extn II offers amazing amenities for the benefit of the residents, some of them are power backup, parking, children's play area, rainwater harvesting system, blacktop roads, street lighting, and avenue trees. RCC framed structure with suitable foundation. Foundation and basements will be treated with anti-termite treatment. All main walls will be 9’’ thick brick wall in cement mortar and all partition walls will be 41/2” thick brick wall in cement mortar. All walls will be finished with cement mortar. Internal walls will be finished with emulsion paint and exterior walls will be finished with cement paint. All Ceilings will be finished with cement mortar and Cement paint. Living, dining, Bed room and kitchen will be finished with 2’-0”x2’0” vitrified tiles with skirting. Bath room flooring will be finished with ceramic anti-skid tiles. Balconies will be finished with ceramic tiles with skirting. Staircase and lobby portions will be finished with kotah stones. Car park areas will be finished with Granolithic flooring. Platform will be provided with granite slab of 2’-0” wide and dadoing with glazed ceramic tiles finish to a height of 2’-0” over the platform. Provision for exhaust fan will be provided. Main door – First class teak wood frame with paneled shutters. All bed room doors will be best country wood frame with flush shutters. In bath room – PVC frames and shutter will be provided. UPVC window with mosquito net and MS grills. Exclusive Mini RO water system will be provided. 1000 Litre capacity PVC overhead water tank and branded CP Fittings will be provided in bath and toilet portions. One number underground water storage sump will be provided. 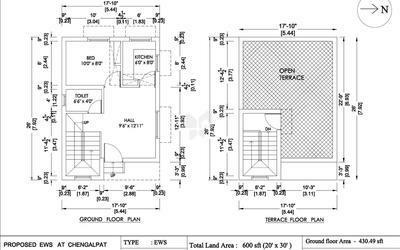 One number suitable size septic tank will be provided. Branded ceramic fittings will be provided. All electrical points will be concealed using with Insulated copper multi stand wires. TV and Telephone points will be provided in the hall. Provision of electrical points also provided for fridge, wet grinder, mixer grinder, RO System, water heater and exhaust fan. 3 Phase Electrical wiring will be provided. 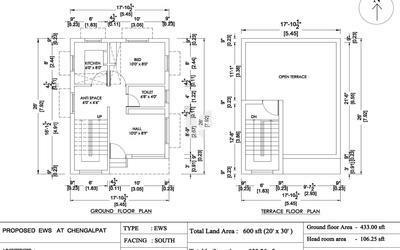 As per the requirement of the Planning Authority. BORE-WELL & COMPOUND WALL: Optional. As per site condition and at PURCHASER’S own cost. Tamil Nadu Teachers Housing & Welfare Trust is membership organization established in 2004 for development of Teachers and to support their financial welfare by various savings scheme available for their future. In 2005, there are 1 Lakh Members in the Trust and now it has grown to 9 Lakh active Members in the Trust till Date. As of today, It has 10 branches all over Tamil Nadu with Head quarters in Chennai. Teachers Association includes members starting from Elementary to Higher Secondary Schools & Colleges. The percentage of members varies as like Elementary School Teachers Constitute 30%, Higher Secondary School Teachers 20%, Matriculation School Teachers 30% and remaining 20% from Colleges. Members are classified into Low Income Group (LIG) and High Income Group (HIG). Association offers various savings scheme on installment to their members for purchasing Plots in various places in Tamil Nadu.